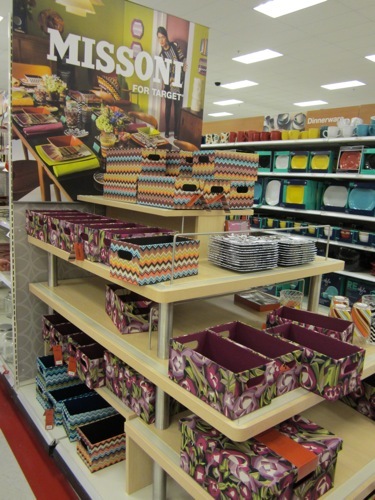 A week after the fact, Target Watertown restocked some Missoni x Target items. Walking into the store, I spotted swimwear front and center. Round back in housewares, I snapped up four media storage bins in ocean colors. There were also some black & white floral square plates, and less than appealing plastic cups, plus a box or two of stationary.